In a world increasingly indifferent to Christian truth, followers of Christ need to be equipped to communicate with those who do not speak their language or accept their source of authority. Gregory Koukl demonstrates how to get in the driver’s seat, keeping any conversation moving with thoughtful, artful diplomacy. You’ll learn how to maneuver comfortably and graciously through the minefields, stop challengers in their tracks, turn the tables and—most importantly—get people thinking about Jesus. Soon, your conversations will look more like diplomacy than D-Day. 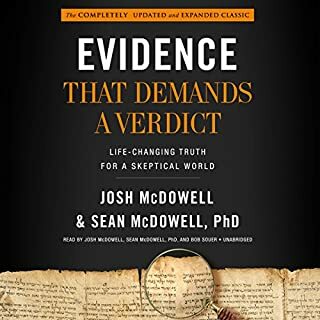 Overall, I enjoyed this book and find that it will be helpful to many seasoned and unseasoned apologists alike. I really enjoyed the book’s emphasis on remaining calm while discussing Christian convictions, and asking questions. The Colombo tactic is perhaps the best part of the book. “Act like Colombo.” That means to ask a lot of stupid questions and let your opponent do the work. In the course of discussing various conversational tactics, Gregory Koukl takes on many common attacks against the Christian faith and exposes their weakness. Some of these vignettes are truly superb. I also like the encouragement he gives throughout the book. Just getting up to bat is enough in itself. Don’t beat yourself up if you think you “failed.” There truly is a lot in here that is worth chewing on. The book is about discussing Christian convictions, not the Christian faith. That is perhaps my greatest problem with the book. When taking Christian apologetics in undergrad, my mentor, Dr. Rod Rosenbladt, use to drum into us that “You can discuss creation vs. evolution with a damned evolutionist for six years, and when you are done and have convinced him of creation, all you have done is taken a damned evolutionist and made him into a damned creationist.” His point was that you still had not gotten to the topic of Christ and the cross, the gospel of salvation. He suggested that if you didn’t start there, you certainly wanted to get the conversation there as fast as possible. So at the beginning of the book, I found it a bit frustrating that Gregory goes out of his way to say that it doesn’t always have to be about that…. Though later in the book he does speak about the importance of it. It seems to me, that Christian convictions are convictions that flow from our Christian faith, that is, our faith in the death and resurrection of Jesus Christ for the salvation of man. If we have a conviction that doesn’t stem from this central event in the Christian faith, we might ask ourselves if it is Christian. So I don’t know why one would choose, for example, to talk to a modern pagan about abortion when you could just as well talk about Christ. Odds are, you make them a Christian by talking to them about the gospel and they will give up the culture of death like a grown man gives up the things of a child, same for evolution, and a myriad of other topics. Perhaps at times, you need to explain why your convictions are Christian convictions, even to other Christians. At this time, I would find many of Greg’s examples and tactics to be quite useful. But without Christ, we are just another religion of law. No one is saved by being anti-abortion or pro-life, but many are made to be pro-life by being Christian. Though, if we are addressing the public about changing laws concerning abortion, we might do well to come up with arguments that appeal to the secular mind. I found the intonation of the reader to be a bit pedantic and annoying. I think it might have been better read by the author who has made his living on the radio and T.V. If you could sum up Tactics in three words, what would they be? Would you listen to Tactics again? Why? 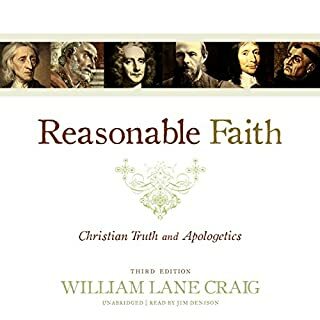 This book is an excellent starting point for anybody interested in Christian apologetics. Even for a non-Christian, it gives excellent tips for debating and lots of food for thought. It encourages analytical thinking and its principles can translate in many areas of our daily life. Not just apologetics. This book is very well outlined. It takes you step by step through the thought process you should engage in and encourages you to start having conversations about the things that really matter. Which character – as performed by Tom Parks – was your favorite? The narrator did a great job. He kept you interested in the topic and it was easy to take notes to go back to. I would strongly recommend this book to Christians and non-Christians alike. It is packed with good information and important steps to engage in healthy debates with others. Smart yet kind approach to apologetics! 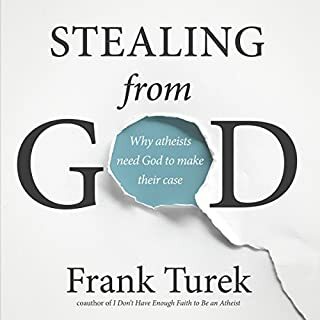 Koukl walks you through a deliberate process that will help you deal with many objections raised by atheists who, it would seem have not thought out their stance quite as we'll as they would like to have you believe. This book is a great place to start and surprisingly complete with many examples that will have you thinking more clearly than you have been. I highly reccomend this book as a resource for Christians. This is very well done. A must listen for anyone who wants to take Jesus last words to his followers to heart. What made the experience of listening to Tactics the most enjoyable? 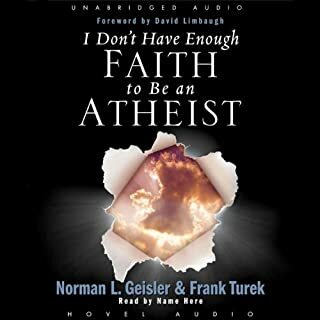 The book gives practically examples of how to share your faith in the most non offensive way possible. That its our job as Christians to plant seeds and not reap a harvest. God does the work, He will reap the harvest when its ready. We just need to be ready to do what ever part He puts in front of us to do. It takes the pressure off and helps us get in the game instead of running away from what we might think is an impossible conversation. Not an over-rating... it's that good! I liked the story about the Witch from Wisconsin. Have you listened to any of Tom Parks’s other performances before? How does this one compare? This book added tremendous perspective to sharing my faith. 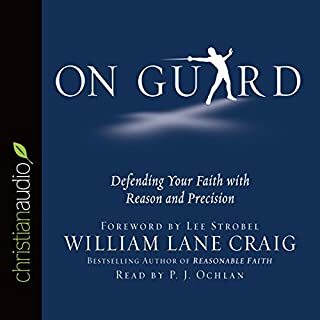 My pastor recommended it to me, this will be a book that I listen to (got the audio book) and read over and over again... more of a study - outstanding! Polish your witnessing technique with these great lessons. Well read and researched with real life examples. One need not fear speaking up in the defense of the gospel with this book showing the way. Shows one how to answer critics of the faith and stand without being preachy or belligerent. Shows the way to be wise as serpents but harmless as doves. A book of practical suggestions for how to approach people with the gospel in a tactful meaningful way. 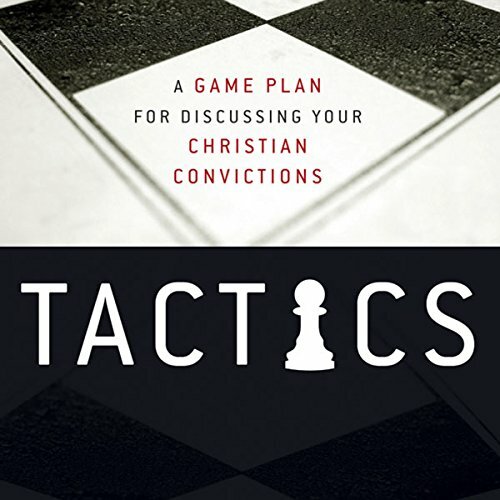 The tactics are mainly "common sense" but the kind of "common sense" that is difficult to manufacture on the spur of the moment when you are confronted with an unexpected opportunity to share your faith. I found the book helpful and I would highly recommend it. A Must Have For Every Christian. Very Helpful, Inspiring and Insightful. A Must Have For Every Evangilizing Christian. The author, Greg Koukl, is one of the finest apologists and sharp thinkers I know. 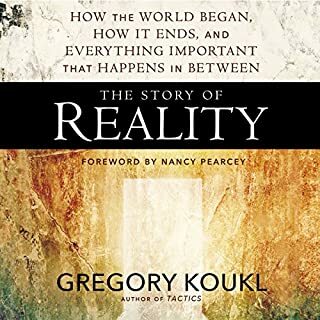 In this book, Koukl encourages Christians to be defenders of their faith in their own spheres of life. He provides us with a gameplan for honest, non-confrontational, intellectual presentation and defence of the Christian faith with various illustrative cases l. A book that I would like to come back to again! It's been a riveting listen. It's been a wonderful audiobook. Packed with many common sense tips on how to share our faith and get to to the truth of the matter. Highly recommended for all levels.